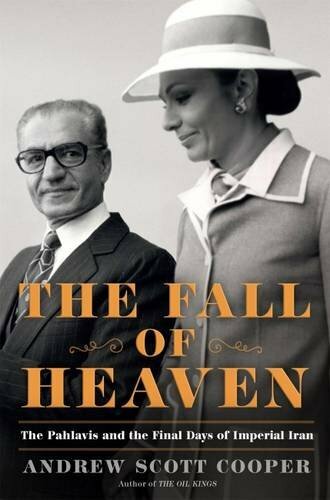 An account of the rise and fall of Iran's glamorous Pahlavi dynasty. Andrew Scott Cooper brings the Shah, along with his colorful retinue and turbulent times, back to life. It is revisionist history in parts — and mostly sympathetic to the king and his queen Farah. She was among the many people the author interviewed for this thoroughly researched and richly detailed account. Cooper shows his hand with his title. 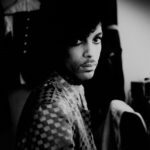 He is determined to focus on what was heavenly in imperial Iran, while glossing over the grievances that led to the political revolt ... The chief problem with Cooper’s account is his reflexive hostility toward Islamism writ large, which ends up being analytically debilitating ... Cooper’s whisper-by-whisper retelling of the shah’s final days is often rich in detail, but he resorts too often to Aladdin-lamp-lit analysis. The book is engaging, but it is, at every turn, in thrall to the Pahlavi view of history ... Mr. Cooper’s book stands out for his access and his willingness to repeat what many of his partisan contacts—including officials from the Carter White House, Iran’s last queen and several of her intimate friends—say to him ... hyperbole or panegyrics, even in the service of a just claim, tend to undermine its force. A narrative that only accentuates the Shah’s accomplishments is no service to his memory—or to history. What did you think of The Fall of Heaven?